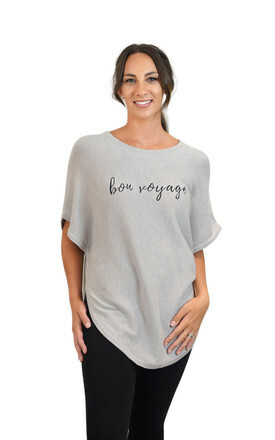 Introducing our new travel themed slogan poncho collection, knitted in 95% cotton and 5% cashmere blend. It just ticks all the boxes! Light, breathable and delicate in texture, this knitwear for women isn't just a luxury, it's a wardrobe must-have! We only use natural fabrics in our knitwear, so you get a fantastic quality piece of clothing that'll last for seasons to come. They insulate against the cold weather and keep you cool during the summer. 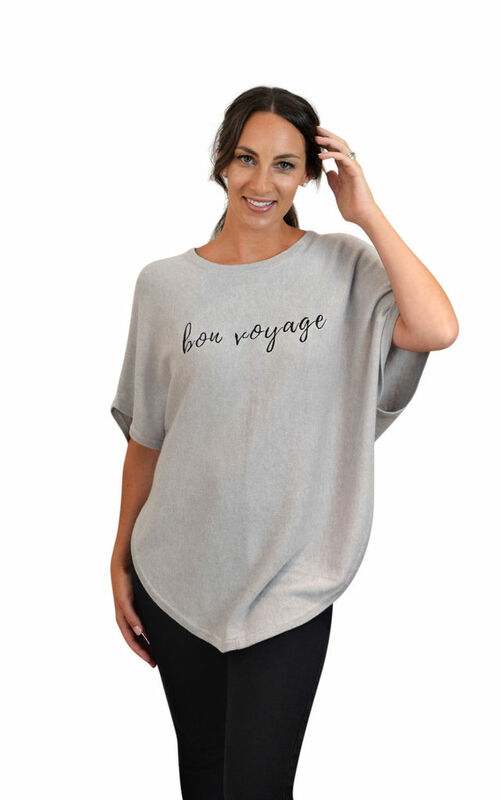 You can also add a long length tee underneath to complete the look. Machine washable at gently wool cycle. Hand wash in mild detergent, dry flat. Relaxed fit. One size fits UK 8-16 / EU 36-44/ US 6-14. Centre back length approx 74cm.